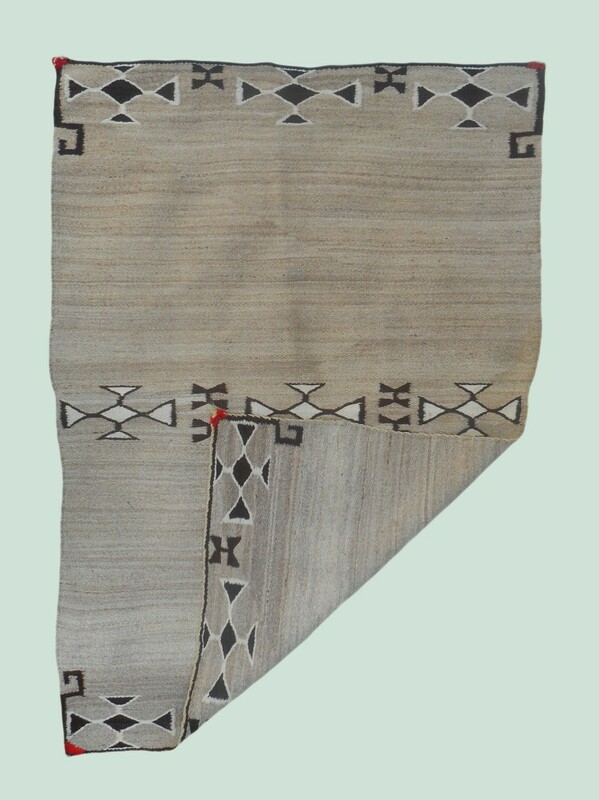 Early Navajo double saddle blanket of natural tan, brown and white, with a border of stylized Maltese crosses. 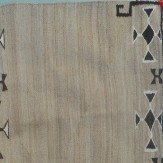 The ends have brown crosses with white outlines while the center has white crosses with brown outlines. Remnants of red corner tassels remain. 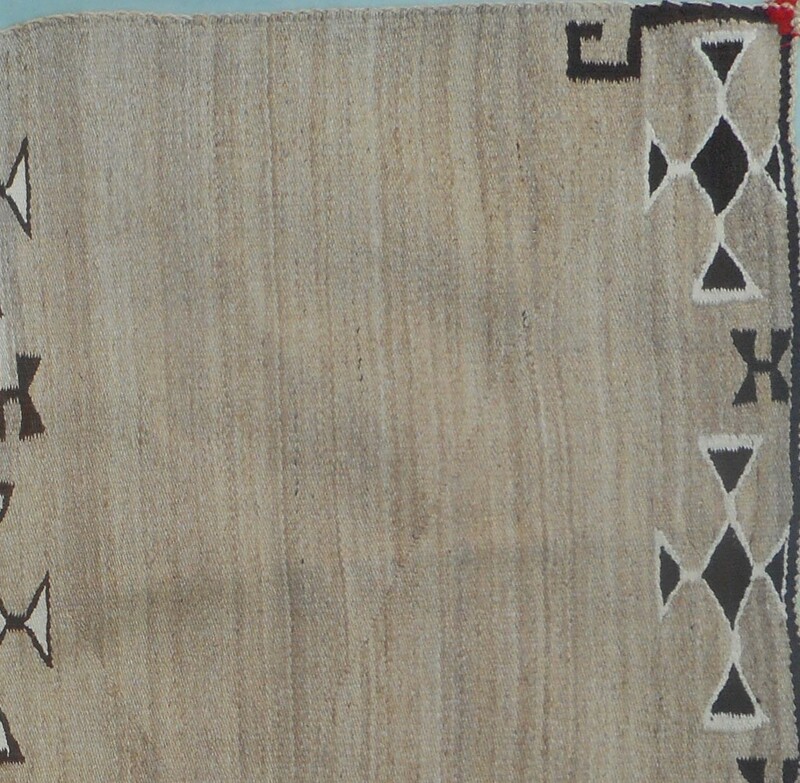 This is the type of blanket documented in Joshua Baer's "They Saddled Our Horses" - one of the first publications dedicated to the Navajo Saddle Blanket. 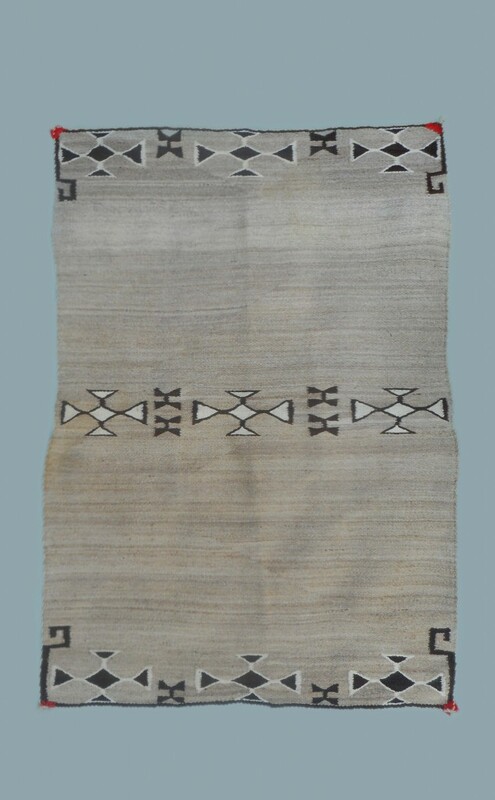 With spare open fields a minimalist design, this was probably made for the cowboy trade - cowboys discovered that the Navajo weavings were the best thing under their saddles to save their horses' backs - and at the same time they helped save the Navajo weaving tradition. 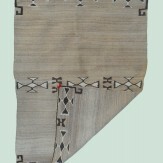 Circa 1900-1910 Measures 55" x 37.5"